The Richard Banks violin is the second highest level of the Heritage Series and is made from very fine quality European maple and spruce and a straight grained pure black ebony fingerboard. 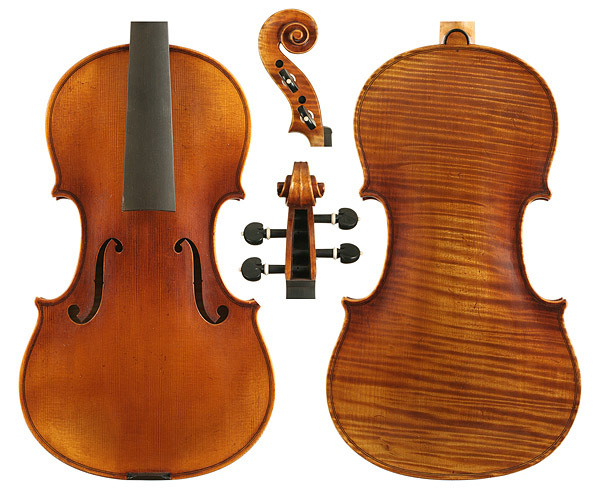 The John Cuthbert violin is the pinnacle of the Heritage Series and is made from very fine quality European maple and spruce and a straight grained pure black ebony fingerboard. 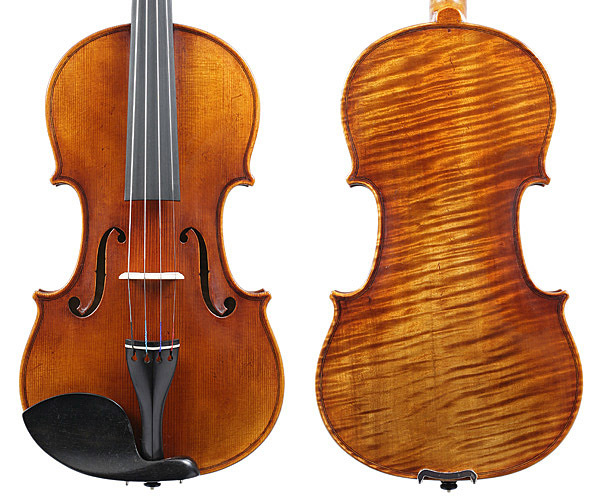 Studio Series instruments are made exclusively for Simmers Violin Makers from fine quality European tone wood. John visits the workshop where they are made annually to oversee their making and is always striving to improve and develop the instruments. 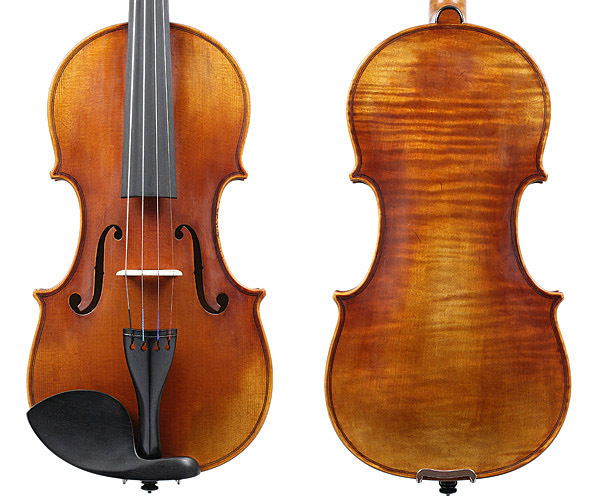 They are very popular and we believe that there no new instruments on the market in this price range that offer the same quality of sound and craftsmanship. The violins are finished in our Red Hill workshop by John Simmers and they receive the highest level of setup, including fine quality hand turned German pegs. 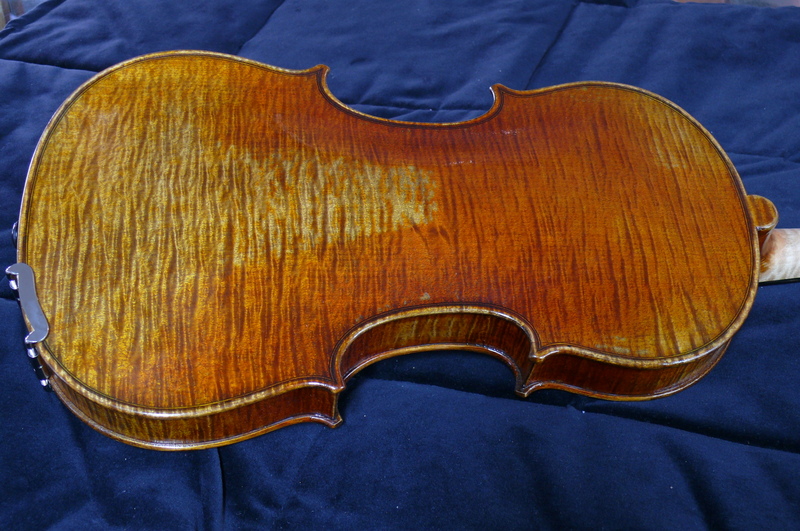 The violins are individually numbered and are supplied with a certificate.